First release in our new Splitzophrenic series. Clinic cover the Loons and the Loons cover Clinic. 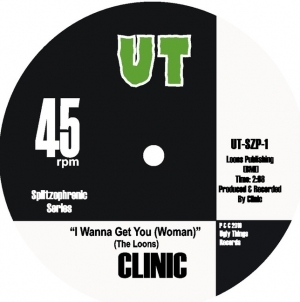 Clinic commit some demented acid-punk surgery on the Loons' "I Wanna Get You," while the Loons elevate Clinic's "If You Could Read Your Mind" all the way to the 13th Floor. Both amazing tracks are exclusive to this release. Pressed on heavyweight virgin vinyl. Limited edition of 500 copies.